Batak speak a variety of closely related languages, all members of the Austronesian language family. There are two major branches, a northern branch comprising the Pakpak-Dairi, Alas-Kluet and Karo languages that are similar to each other but distinctly different from the languages of the southern branch comprising three mutually intelligible dialects: Toba, Angkola and Mandailing. Simalungun is an early offspring of the southern branch. 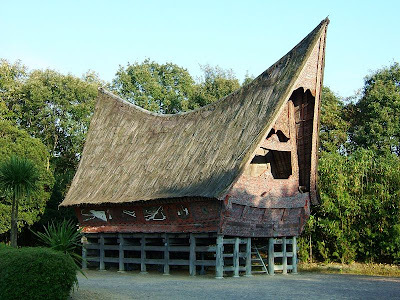 Some Simalungun dialects can be understood by speakers of Batak Karo whereas other dialects of Simalungun can be understood by speakers of Toba. This is due to the existence of a linguistic continuum that often blurs the lines between the Batak dialects. The Batak possess their own script known as the Surat Batak. The writing has chiefly ceremonial importance within traditional religious ceremonies, and was subject to little change for this reason. It is likely that the Batak people received their writing system from southern Sumatra.